This past weekend our church hosted a missions weekend that we called Global Imapct. We had over 5,000 people come through our services this weekend. People were exposed to different mission opportunties that they could partner with this coming year. The theme of the weekend was God of the World, God of the City, and God of the Church. 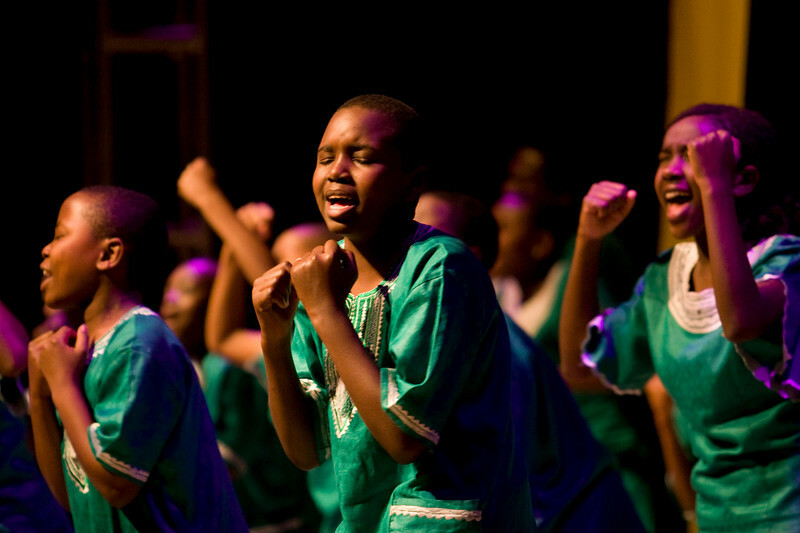 My favorite part of the weekend was getting to go on stage with the Daraja Choir from Africa. Every since I returned from Africa some 8 weeks ago, I have been counting the days to have the choir from Kenya lead our church in worship. It was such a blessing for my family and my church family to meet some of the children that I was able to visit with at the orphanage in Kenya. The surprise of the night was when I announced that our church will be partnering with the 410 Bridge to sponsor a community (Kandaria) for the next three years. Once that announcement was made we had over 75 people express interest in going to Kandaria. I recently read a quote in which someone said “I need Africa more than Africa needs me”, I couldn’t agree more. Looks like this lion chase is going to involve a lot more people.